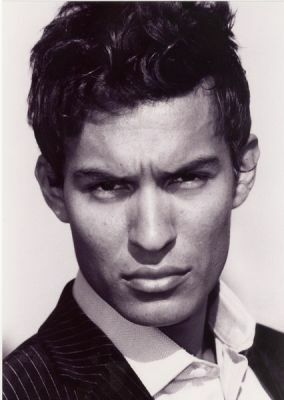 Paris Laurent born the 09 /07/1983 19 rue de Lisbonne not married 75008 Paris Permis B Tel :0633582387 Mail : parilux7@aol.fr Website : www.laurent-paris.book.fr Formation initiale (acting school) 2002/2003 :Acting courses with Jack Waltzer in Paris. 2003/2004:Student in the central scholl of speech and drama of London). 2005/2006:Student in the Atelier du Sudden acting school in Paris 2008:Cours with Bernie Hiller (acting teacher from Los Angeles) Speaking languages French: perfect English: perfect Spanish: good Portugues: good Professional experiences 2005: role bad young man, in a French telefilms call Fargas. 2006: role Haendel in the feature Antonio Vivaldi “UN prince a Venice” 2007: first role in a short bollywood film call”DODIL” www.dodil.fr 2007:Young student a commercial for the bank of Kuwait “noticeable presence Paris”2007 www.caviargroup.net 2008:Actor for a documentary for the environment in Brazil (for the forest) 2008:Cluber and banlieusard for a clip produced by Europacorp “No Justice” www.justice-lareponse.com 2008: bisness man and a soldier in a short film produced by Lynn hardwood call “Enough Rope”,with Vicky Mcclure action film . (uk film Council). 2008: role aviator “Thierry Boteac” in a short film, for short film competition in Paris, 2009: first role in a film call the flash back shooting soon.